choice made in our frontal lobes. The Papal tiara, a three level crown, was originally labeled with a Latin inscription: "Vicarius Filii Dei" Our Sunday Visitor, April 18, 1915. The Roman numeral value of these letters totals 666. "all seeing eye" and the unfinished pyramid a sinister portent of things to come. The mark is required for those who wish to buy and sell (Rev 13:17) "the number of his name". "the dragon, that old serpent, devil" who deceives the whole world (Rev 12:9). He gives his power and seat and great authority to the beast (Rev 13:2). Are you ready for the Antichrist? Hollywood is and book stores, too. Differing ideas abound and contradict each other, let alone the Bible. What is the Mark of the Beast? Better yet, what is the Beast? Is it a monster super-computer somewhere in Europe keeping track of every living being on planet earth? It looks like we already have that in the TSA, so what else is new? Are we going to be tattooed in our foreheads, or have chips inserted under our skin? Both are pretty scary thoughts. Oh, and what’s with this number 666? What mysterious meaning lurks behind those three infamous digits? Lucky for us (no, a blessing!) the Scriptures provide us with the answers to all these questions and more. Get your Bible ready, because we will be looking at all the important evidence with which we can know for certain just who the Antichrist really is. Despite popular opinion about the identity of the Antichrist, the Bible plainly states that it is not just a man, and it’s not some evil villain that is yet to land on the world stage in the near future. The only mention of Antichrist in the entire Bible is in the little book of first John 1 John 2:18; 2:22; 43. 2 John also identifies antichrist as denying that Jesus has come in the flesh, in humanity, in our humanity, and dwells in us. John 14:20; Eph 3:16; Gal 2:20; Col 1:27; 2Cor 13:5. written by one of the closest disciples of Jesus for three and a half years around 30 AD. John was given a series of visions while exiled in the Aegean sea some 60 years later. Many antichrists! Not just one, but a whole crowd of them, perhaps an army of them. Where did John get that idea? From another prophet. While John lived and wrote during the height of the Roman Empire, Daniel recorded his visions during the Babylonian and Persian empires about 536 BC. Daniel did not use the term Antichrist but he does have a lot to say about a “dreadful beast” that succeded the Grecian empire. And that was Rome! It would "magnify itself even to the Prince of the host" Dan 8:11. The Prince is the Son of the King. "He shall stand up against the Prince of princes" Dan 8:25. This power is later seen as "the raiser of taxes" that broke "the Prince of the covenant" Dan 11:20,22 who is Jesus, the Messenger of the covenant Mal 3:1. So, both Daniel and John dealt with the rise of the Roman empire. Look how closely they both describe the same power. 10. Heruli (migrated Scandinavians). in 476 it fragmented into 10 ethnic groups which became the nations of Europe. 2. Another horn arises with a mouth (Dan 7:8; Rev 13:5). 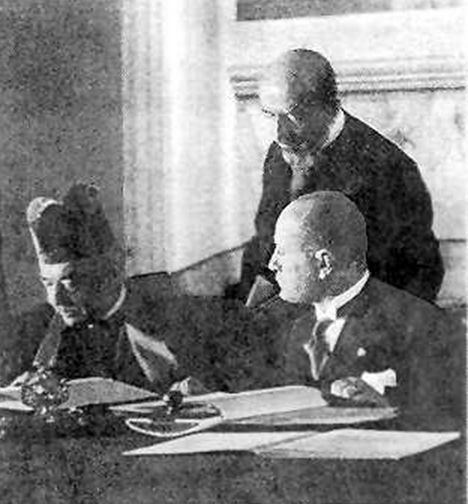 World powers express themselves by making decrees and laws, editcs and proclamations. 3. Speaking great things against the Most High (Dan 7:25; Rev 13:5,7). John says “blasphemy.” The Jews accused Jesus of blasphemy “because you being a man make yourself God” John 10:33. 4. It was more stout for power was given to it (Dan 7:20; Rev 13:5). It received power and authority directly from imperial Rome, emperor Constantine, but ultimately from the dragon, that old serpent, the devil (Rev 12:9). 5. It was different than the other horns (Dan 7:24; Rev 13:8). It was worshiped by all the earth. 6. It would wear out and make war with the saints (Dan 7:25; Rev 13:7,15). Crusades and inquisitions brought death to many millions. 7. It would try to change times and laws (Dan 7:25). Biblical laws and times of worship were replaced with Church appointed feasts and holy days. 8. It would reign 3½ times, 42 months, 1260 days (Dan 7:25; Rev 13:5; 11:3). 9. It would receive a deadly wound and its dominion would be taken away (Dan 7:26; Rev 13:3). 10. Antichrist comes “out from” the true believers (1John 2:18,19). John says, “They went out from us, but there were not of us.” It is not just one person, but a group that left the true church. This eliminates one popular contender: Antiochus Epiphanes, a Selucid (Greek not Roman) king who persecuted the Jews around 168 BC. He was about 200 years before John’s time. Though he indeed blasphemed God and His temple in Jerusalem, he was a minor actor that lacks meeting all the criteria specified by John and Daniel. Notice the three time periods in point 8 are all the same. 42 months of 30 days each = 1260 days. 1260 / 3.5 = 360, the number of days in a year comprised of twelve 30 day months. This formula also appears in the flood account in Genesis 7, where the waters prevailed for 5 months which are said to be 150 days. So, all three designations are speaking about a 3½ year period of time. But, one more clue is important in determining exactly how long this time period is. A known principle of apocalyptic or symbolic time is that a day of prophetic time is equal to a year of actual calendar time. Several examples illustrate this fact. When the children of Israel were on the borders of the Promised Land, they sent 12 spies on a 40 day reconnaissance mission to gather strategic data before actually entering Canaan. 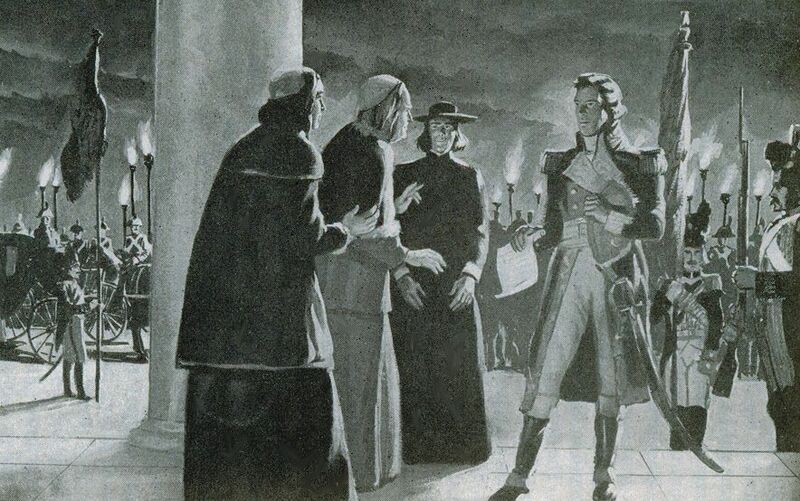 Ten of the spies persuaded the people that it would be suicide to venture in; two encouraged the wilderness nation to have faith in God and His power. But they were outvoted, and the lack of faith resulted in a 40 year delay in the desert, “each day for a year” Numbers 14:34. Later, the prophet Ezekiel was instructed to lay on one side for 390 days symbolic of the 390 years of apostasy for the northern kingdom, again “each day for a year” Ezekiel 4:6. This principle when applied to the 3½ times and 42 months is not simply 1260 days but 1260 years. This definitely rules out Antiochus, Nero and any other individual person as the Antichrist power. So, who is the Antichrist of prophecy? The number of the beast is “the number of a man,” 666, a triple six, the number of man created on the 6th day. Solomon received 666 talents of gold annually (1Kings 10:14) an ominous amount, perhaps his doom. Six is one short of seven, the signature of things divine. Seven signifies perfection, complete, as seen in the Lamb of God who has symbolically 7 horns (omnipotence), 7 eyes (omniscience), which are the 7 spirits of God going “forth into all the earth” (omnipresence). The beast changes this three-fold perfection to a triple imperfection. The first four items deal with solving the sin problem by the triumph of righteousness. The vision and prophecy that would be sealed up in point number 5 refers to the one in chapter 8 for which Daniel prayed in chapter 9. This is covered in great detail in “Your High Priest”. The Messiah’s coming is foretold in verse 25: 69 weeks after the start of the 70, his death in verse 26, and the end of sacrifices in verse 27 both occurring in “the midst” of the 70th or last week of 7 years. Jesus began his ministry proclaiming, “The time is fulfilled” Mark 1:15 exactly on schedule in the fall of AD 27 in the 15th year of Tiberius Caesar (Luke 4:1) when he was baptized and preached from Isaiah 61 in Nazareth that it was “the acceptable year of the Lord” (Luke 4:16). Exactly 3½ years later he was crucified on the Spring Passover of AD 31 precisely at the time of the morning sacrifice and died just as the evening sacrifice was being offered. The Lamb of God had given his life for the sins of the world. No more animals need be sacrificed ever again. The period of 3½ years is an interesting pattern in prophecy. 1. Elijah prophesied 3½ years of drought and at the end of that time 450 prophets of Baal are executed. 2. Jesus ministers for 3½ years and then dies on the cross of Calvary in the midst of the 70th week. 4. 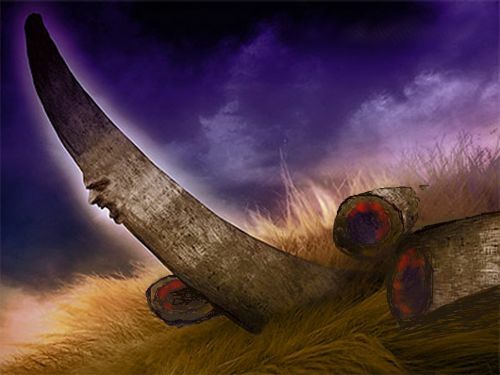 The beast of Revelation 13 (the little horn of Daniel 7) wages war against the saints for 3½ times (1260 years) and then receives a deadly wound. This sounds more like an anti-religious power! Opposing Christ it was anti-Christian. from all the previous powers: it desires worship, and it gets worship! The dragon, that old serpent the devil (Rev 12:9) aspired to place his throne above the stars of God and “be like the most high” (Isaiah 14:12-14). He is the real power behind the beast. Revelation 13 tells us that the dragon gave the beast “his power, his seat, and great authority” Rev 13:2. The seat of the dragon’s power at the time of the falling away was Imperial Rome under the rule of the Caesars. This was given to the beast to become his capitol as well. 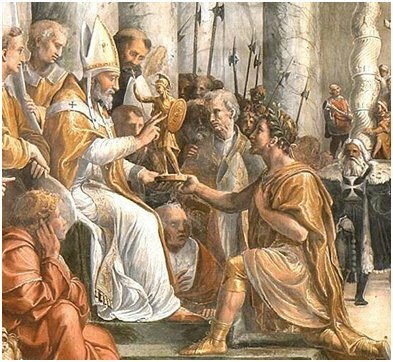 The historical development of the little horn is a fascinating story that begins with the Christian “conversion” of emperor Constantine who remained a follower of Sol Invictus his entire life. when Constantine vacated and moved his capitol to Constantinople in 324. The following year he convened the first Ecumenical Council in Nicaea, a nearby suburb. Here the Trinity doctrine was first officially formulated. Controversy over this dogma resulted in many wars and crusades against those who resisted its enforcement. 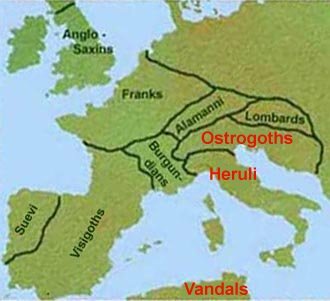 Three nations, the Heruli, the Carthagenians, and the Ostrogoths, were finally exterminated in 538 which fulfilled the prophecy of Daniel 7 “there came up among [the 10 horns] another little horn, before whom there were three of the first horns plucked up by the roots” verse 8. All three of these nations remained faithful to the Word of God which taught that “There is one God, the Father, of whom are all things, and one Lord Jesus Christ, by whom are all things” 1Cor 8:6. Estimates of up to 100 million “heretics” died during the Inquisitions of Rome. Soon the Bishop of Rome was claiming superiority over all other Bishops which eventually caused the split between the Roman Catholic and Eastern Orthodox churches. 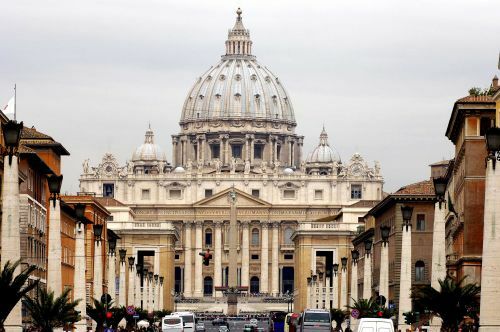 The titles then expanded to Pope, Viceregent of Christ, His Holiness the Supreme Pontiff, Soverign of the State of Vatican City, the smallest country in the world with embassies from every other country in the world! Popes began to wield the sword of excommunication against their enemies, denying them the right of baptism, last rights or Christian burial. Over one thousand years the Vatican ruled the kings of Europe symbolically riding on their backs as shown in Revelation 17 where the woman dressed in scarlet and purple (the colors of cardinals and bishops) has written on her forehead the word, “MYSTERY” just what the inexplicable Trinity doctrine is said to be. It denies the true Father and the Son which John says is the very definition of Antichrist (1John 2:22). The Holy Roman Empire was the medieval union of church and state first embodied in the Old Testament story of king Ahab and his wife Jezebel, priestess of Baal. The church of Thyatira in Revelation 2:18-29 speaks of Jezebel the woman that “teaches and seduces” the servants of God during the Dark Ages. The prophecy foretold that the beast power would be “killed with the sword” Rev 13:10. For 1000 years the Bible was suppressed and unavailable which is why this period of history is called the Dark Ages. But when the printing press was invented in 1439, the first book to be printed was Gutenberg’s Bible. The Reformation began with Wycliffe in 1330 and Martin Luther in 1517, both translating the scriptures into English and German. The Word of God is the sword that spiritually wounded the papacy (Heb 4:12) but its physical demise came exactly 1260 years after it began. 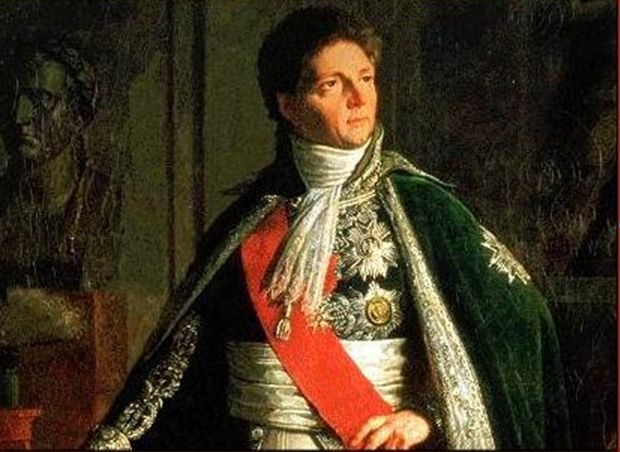 On February 15, 1798, exactly 36 jubilees after the end of the 70 weeks (36x49), the little horn power came to an end when Louis Alexandre Bertheir, Napoleon’s field general, marched into Rome, deposed Pope Pius VI, took him captive and declared Italy a Republic. The pope was taken to Avignon, France. He died the following year at Valence on the Rhone River. France renounced Christianity, desecrating churches, executing many priests during the Reign of Terror. But as the prophecy foretold, “his deadly would was healed and all the world wondered after the beast” Rev 13:3. 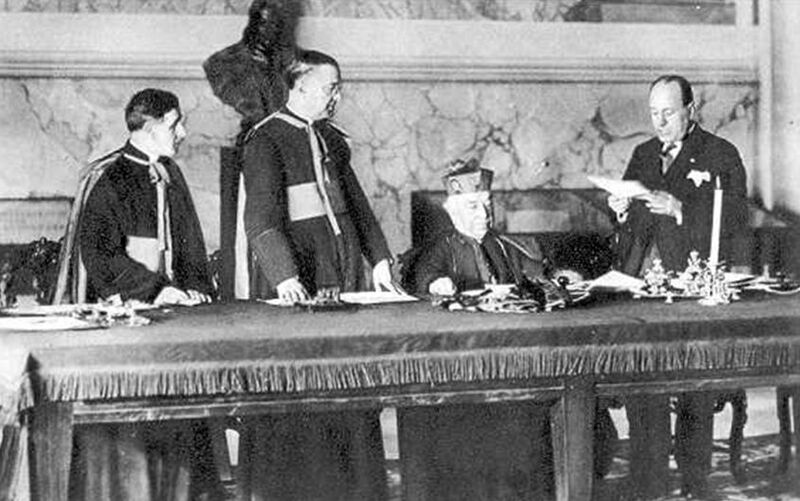 The wound was healed in 1929 when Mussolini signed the Concordat with Pope Pius XI returning the papal states to the Vatican. San Francisco newpaper headlines: "Wound Healed" fulfilling Rev 13:3. Since then the prestige and power of the Roman Church has steadily grown. Prophecy states that once again it will have power with the kings of earth “for one hour” Rev 17:12. And they shall make war with the Lamb, but Jesus “will overcome them for He is King of kings and Lord of lords” Rev 17:14. Let us follow the Lamb “whethersoever He goeth” Revelation 14:4.